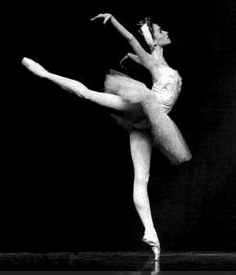 Learn from dancers - posture is so important. Thousands of people search the Internet, store aisles and magazine ads every day for ways to look younger, healthier and more confident. Much like Dorothy in the Wizard of Oz, the answer is right with them all along. Today, you'll learn how to look younger, healthier and more more confident and it will take less than a minute. This is so simple, you'll kick yourself for not thinking of it. There are three things you need to do. Once I tell you the first one, I'm sure you'll hear your mother's voice in the back of your head. Yes, "Stand up straight." 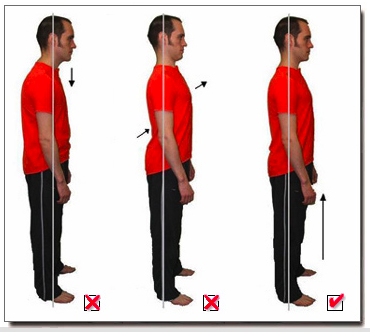 Good posture can make a dramatic change in the way you look and the way people perceive you. 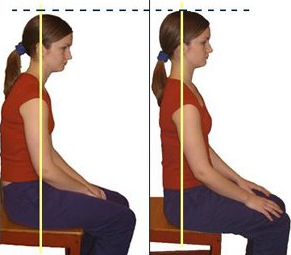 People with poor posture look tired, older and lacking in confidence. Being slumped over, either standing or sitting, sends a very weak message, in terms of body language. My last wife spent years training to be a ballet dancer. She always had perfect posture - standing, sitting, squatting, working on a ladder - didn't matter where she was, she looked great. When I was living in Las Vegas, I would meet a lot of performers from the various shows. They all had perfect posture - shoulders back, head held high, stomach held in - perfect. Look at the difference proper posture makes in this man. When I was ill, I wasn't feeling myself. I know my posture - standing and sitting - was horrible. People would comment, "Gee, you look tired." Or ask me, "Is everything OK?" Recently, my health has improved and I've been making a conscious effort to walk taller and sit up straighter. When I went to a few meetings this past week, even though I was unshaven, everyone commented, "Gee, you look so vibrant and healthy." The big difference, posture. I looked strong and confident. You can too. If you attend meetings, don't forget how important good posture is to you and the body language you are communicating. Slouching or slumping can make you look disinterested or weak. Proper posture when sitting is especially important on a job interview. You want to look like you're in command and you cannot do that with your shoulders rolled down and your back curved against the back of the chair. Besides posture, the second most important thing you can do to make yourself look younger, healthier and more confident is smile. 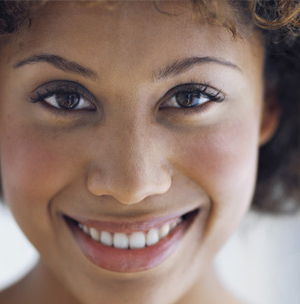 And the third thing to improve your appearance is make eye contact when you smile. Everywhere I go, when I approach a person for directions, a clerk to buy something or a new acquaintance at a meeting, I smile and make eye contact with them before I speak or extend my hand as a greeting. Invariably, they smile back. Smile and make eye contact. It makes a world of difference. People that walk around with a frown on their face or a dead look don't come across as friendly. They look older and don't exude confidence. I'm not suggesting you walk around with a slap-happy grin on your face all day long. But when you have contact with people, smile, make eye contact and see how much nicer they are to you. It's so simple. So, there you have it... How to look younger, healthier and more confident in less than a minute - stand up straight with your head high, smile and make eye contact. That was easy. And it cost nothing but a little conscious thought.